An astonishing graphic novel that explores duty, love, heroism and freedom, all through the eyes of readers’ favorite undersea royalty. With the popularity of Aquaman DC has now added by creating young adult novels from many of the characters. Watching and knowing of many of these heroes, I took at the chance to read about Mera. After watching the movie, I loved the character even more so even after reading the comics. 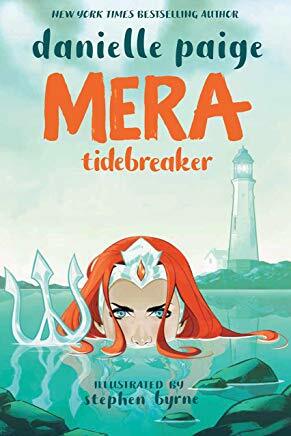 Mera, Tidebreaker is about a princess of Atlantis who is a hero in her own right. The illustrations and story go back to a Mera before we even meet her love, Aquaman aka Arthur Curry. Just a side note that this story doesn’t add up with the story we have seen on the big screen, but nonetheless brings the elegance and defiant character that I love. Mera will find out the truth about the Atlantis she grew up in, but what will she do with that knowledge? Yo0u’l have to find out as Paige keeps you on your toes and this is a page-turner. I wish we had more stories like this growing up!